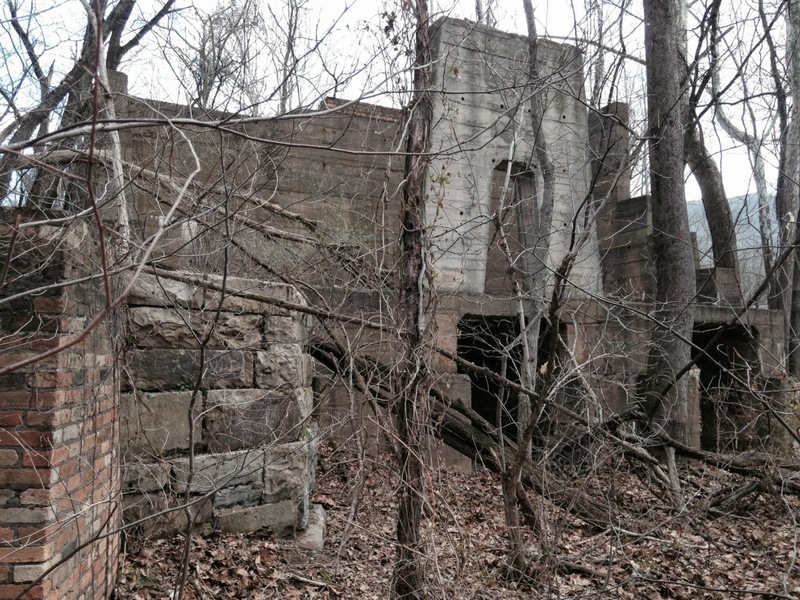 You can probably learn all you'd ever want to know about the Low Moor Iron Company from the sign that marks its ruins as an official Virginia Historical Site. That sign is the first picture in this photo album. I can tell you that my own research, which consisted of typing the name into Google, turned up evidence that the company itself may be far older than this location. 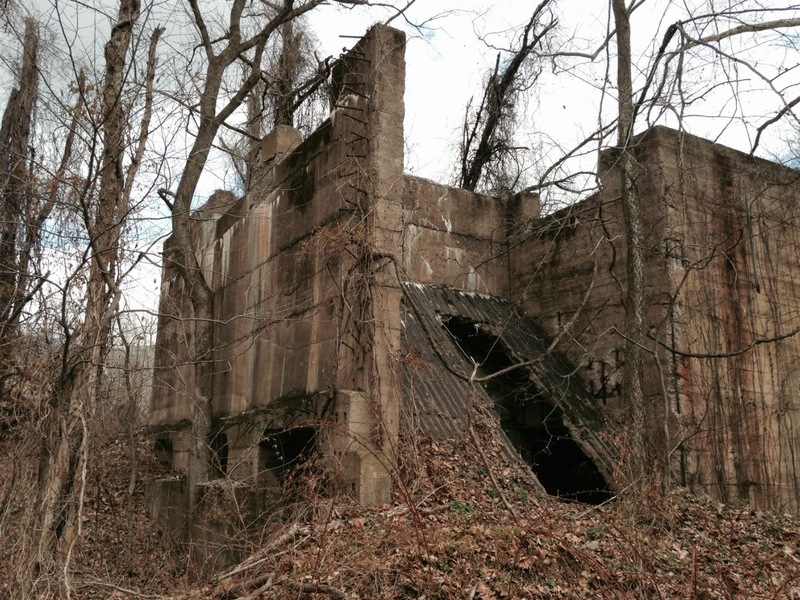 There was a company called the Low Moor Ironworks in Yorkshire, England, as far back as 1791. I didn't find solid evidence connecting that British company to this American one, but the shared name seems to imply more than coincidence. 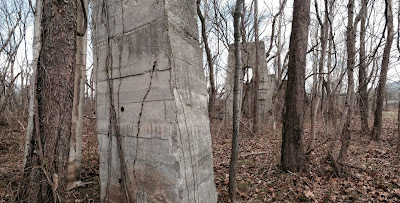 When I was a kid we used to play in the ruins of the Iron Company site, a fact that horrifies me today. 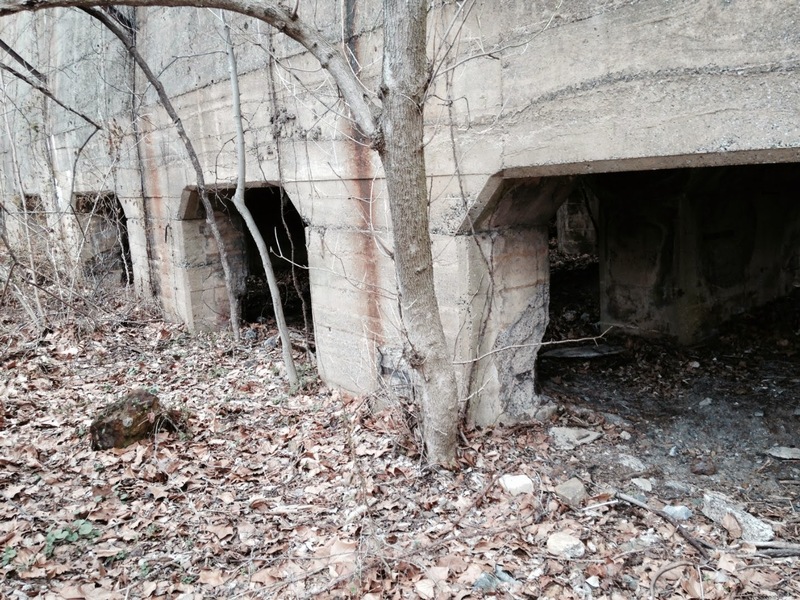 There is probably no more dangerous location for kids than this in all of Alleghany County. 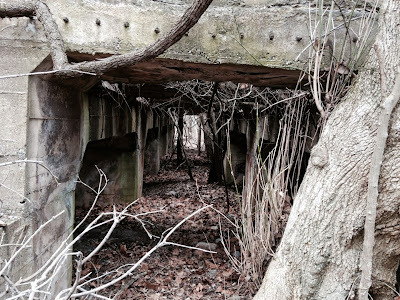 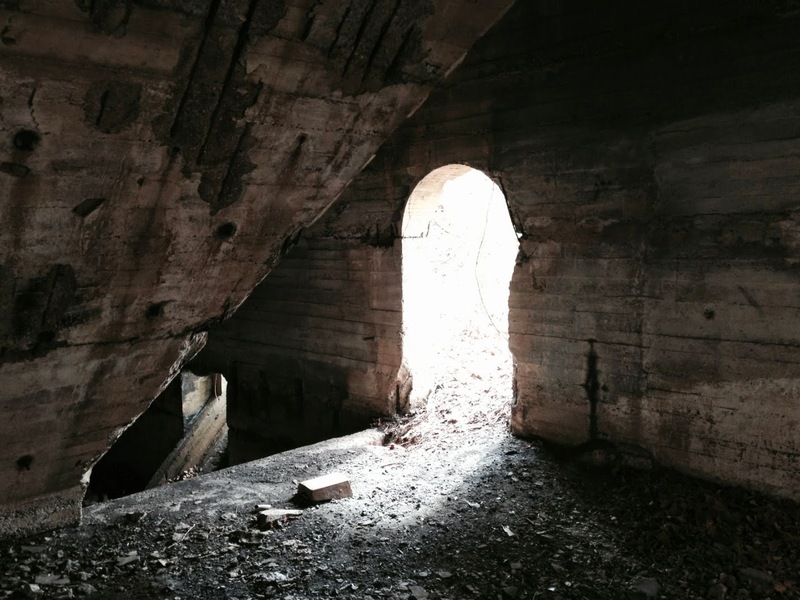 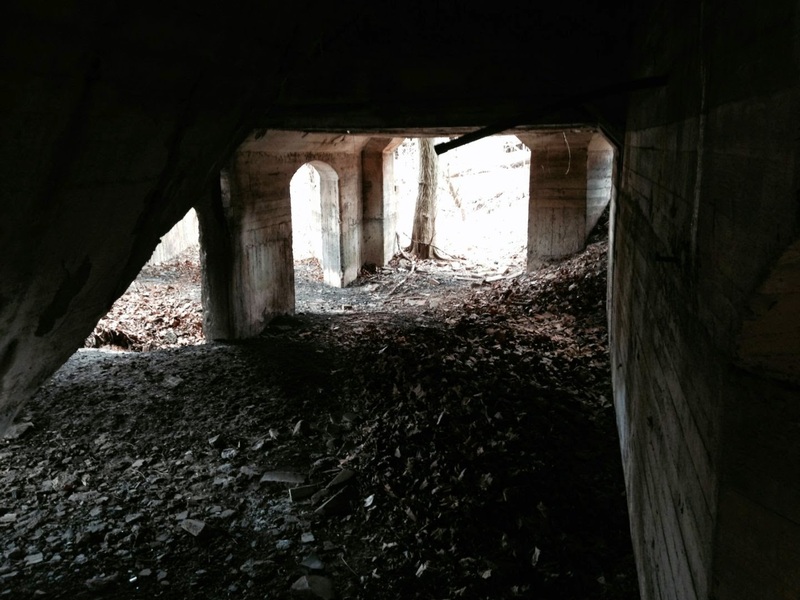 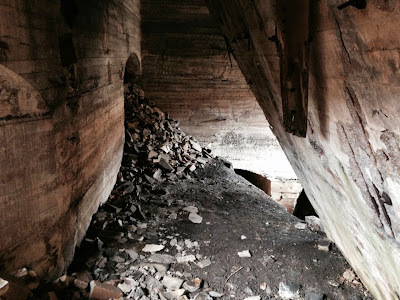 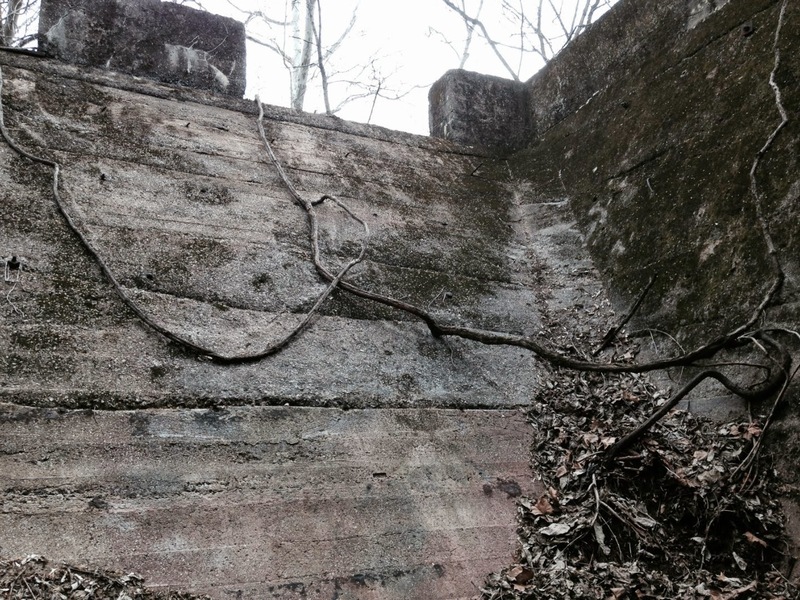 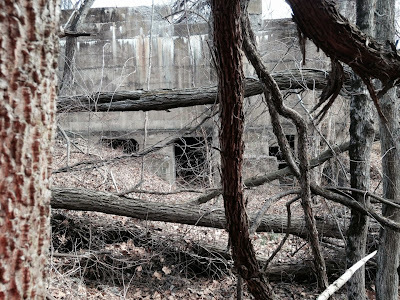 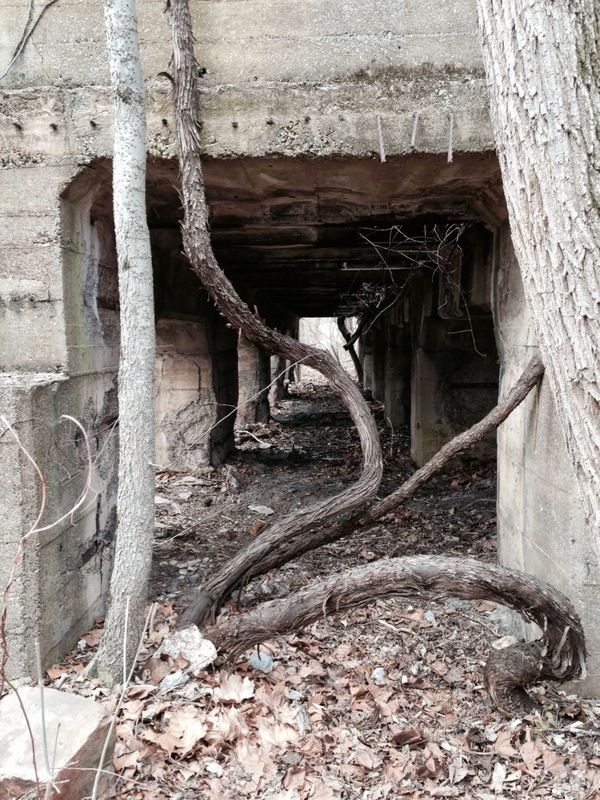 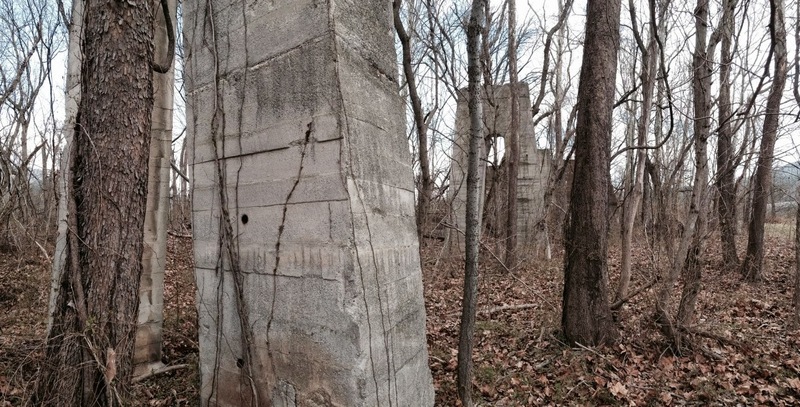 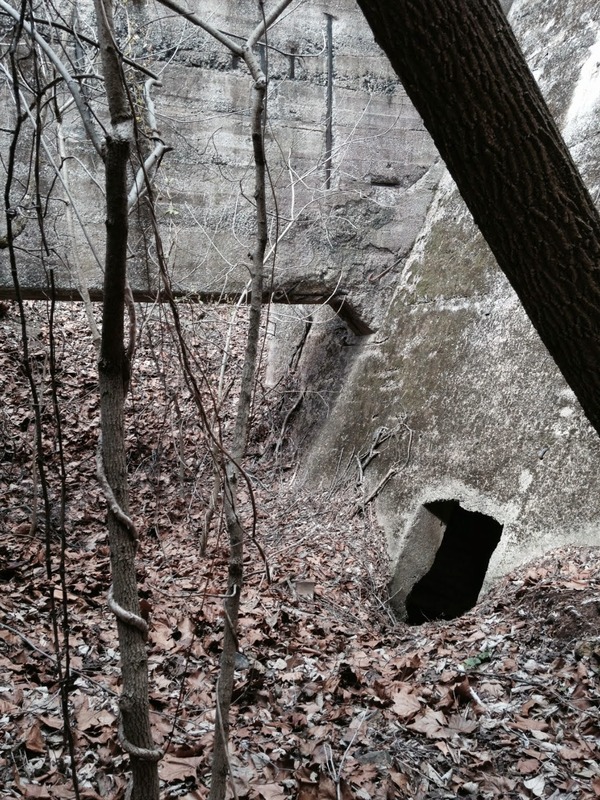 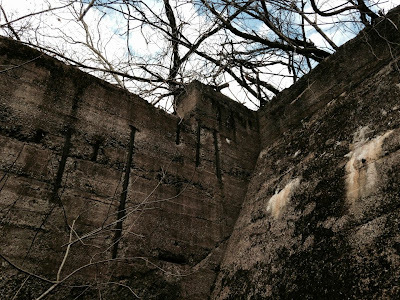 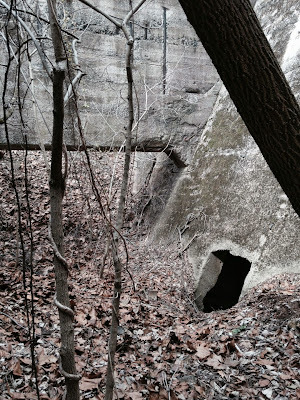 It seemed safe back then, we thought of the site as an abandoned fortress in the woods. 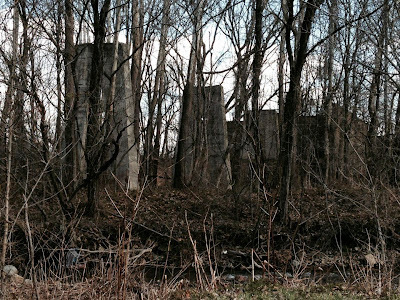 It was actually even more isolated back when I was a kid, and we wouldn't have been as easy to spot back then. 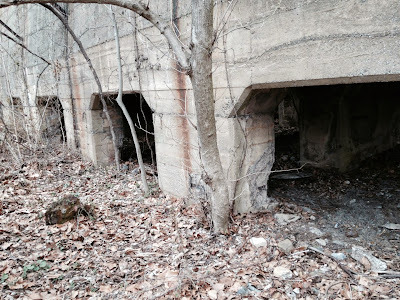 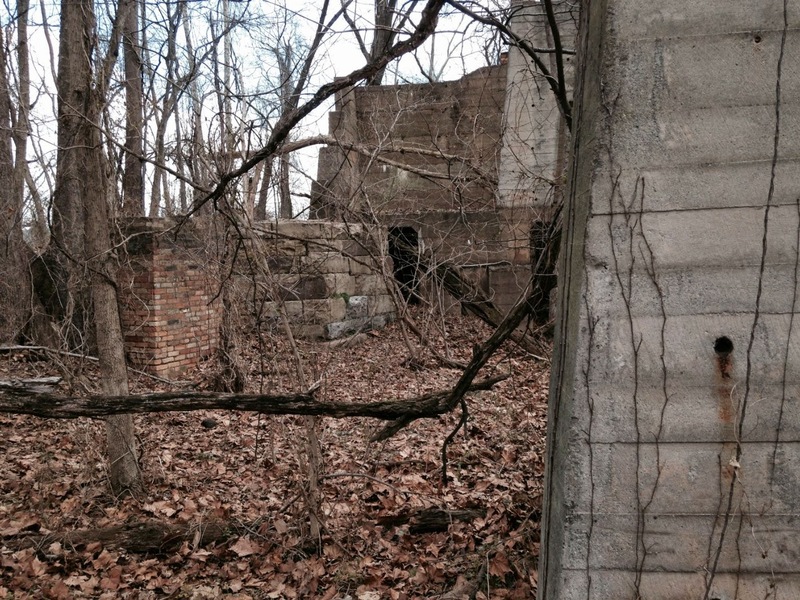 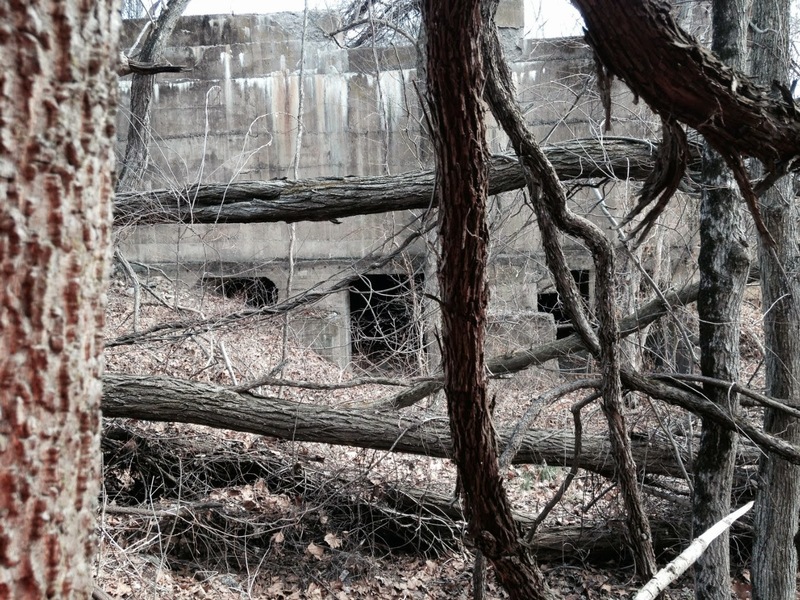 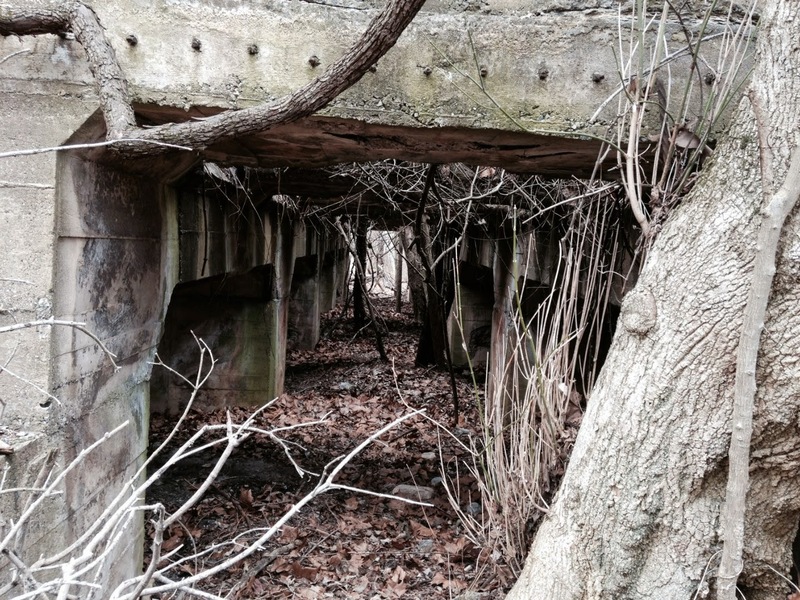 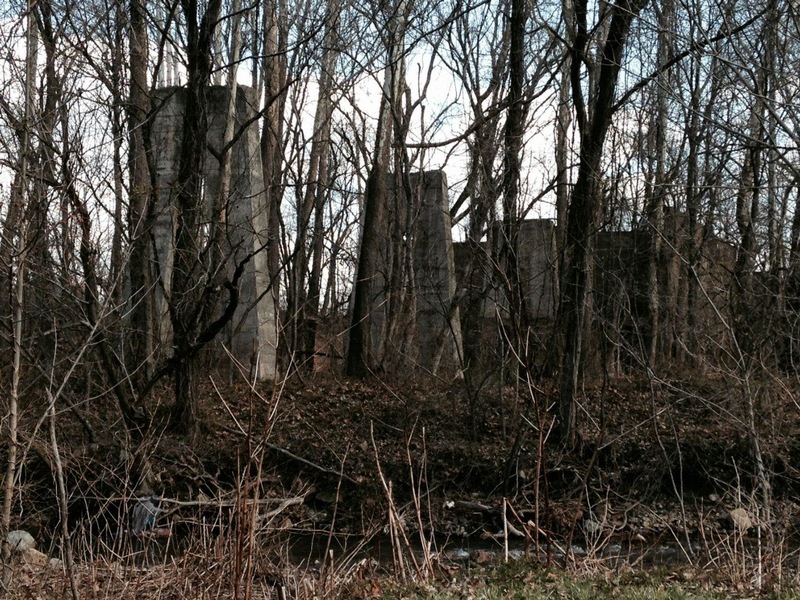 Today, the Brian Center nursing home stands literally only a few feet from what remains of the old coke ovens. Any kids messing around in there today would be seen and heard by Brian Center residents and employees. 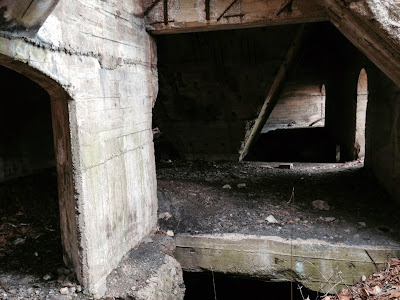 I went to the Ironworks site today to have a look around and take a few pictures. 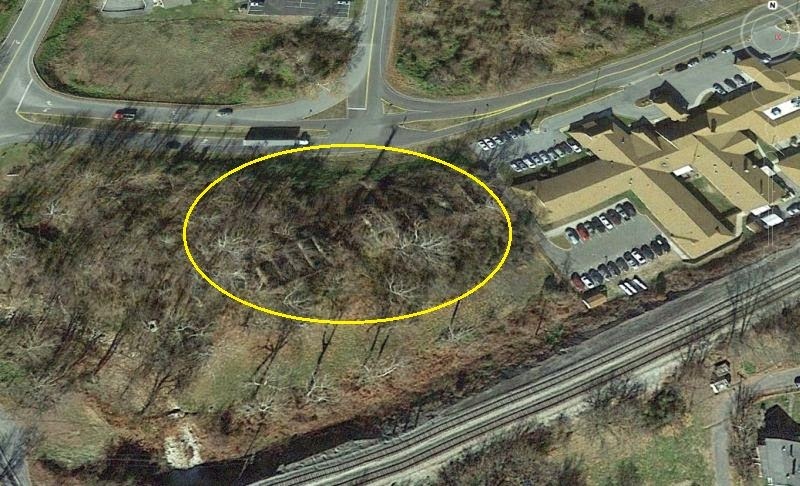 It's easy to get to the site today, just park behind the Brian Center and walk behind their storage building and around the fence. 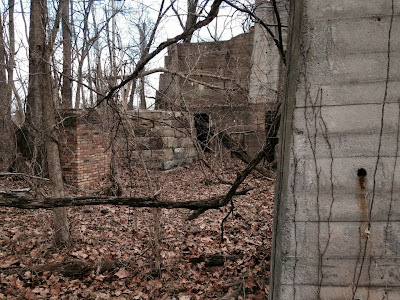 I was prepared for the possibility that a Brian Center employee might stop me and send me on my way, but it didn't happen. 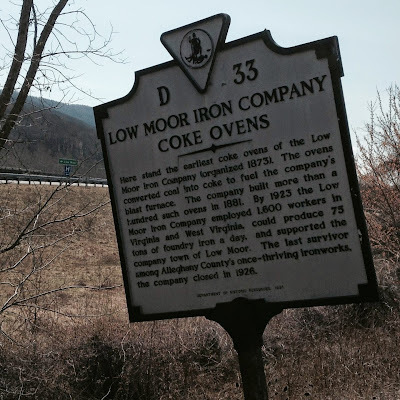 More information than anyone might ever want about the Low Moor Iron Company's location in Low Moor, Virginia can be found at this link.